The electoral results of October 7 have shown a true conservative tsunami. 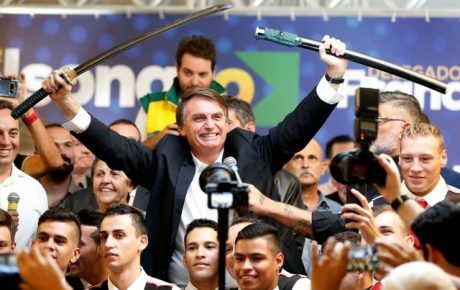 Right-wing and far-right candidates have enjoyed hugely positive results – and Jair Bolsonaro is set to win the presidency by a landslide on October 28. 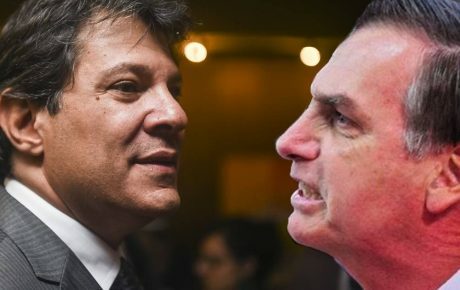 The former Army captain has turned his attention to the Northeast of Brazil, where he fared much worse than his competitor, Workers’ Party Fernando Haddad, in the first round of voting. 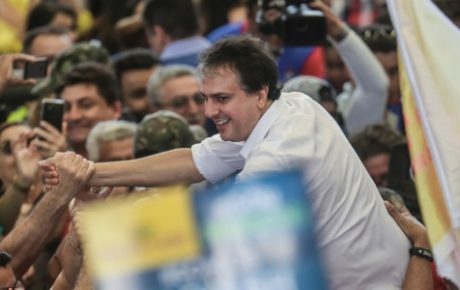 It was Brazil’s poorest region that forced the presidential race into a runoff. For the past decade and a half, the Northeast has been the Workers’ Party stronghold, thanks to the social policies it put forward during the presidency of Luiz Inácio Lula da Silva. Of the nine states in which Mr. Haddad was the best-voted candidate, eight are in the Northeast and one is in the North. We explain why. Voters in these regions have experienced real improvements in their lives during Lula’s administration – and depend much more on the state to make ends meet. In line with that, they are more prone to vote for candidates that defend more state-sponsored social policies. 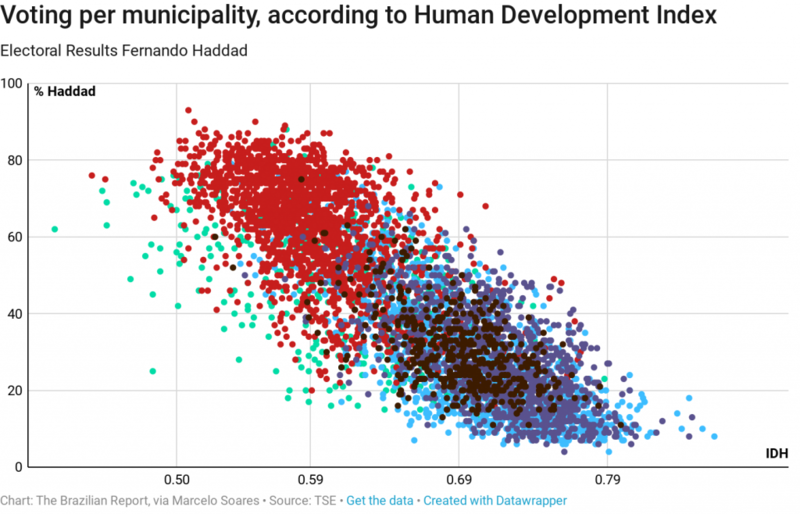 By crossing the performance of Mr. Haddad with the Human Development Index in each Brazilian municipality, we can see a correlation between voting to the left and living in a less developed municipality – where the presence of the state is more necessary. 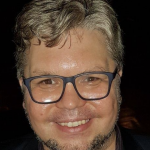 In the northern municipality of Melgaço (the lowest level of human development in the country), Mr. Haddad, for example, got 62 percent of votes in the first round. Melgaço residents would have given the Workers’ Party candidate an easy, first-round win. 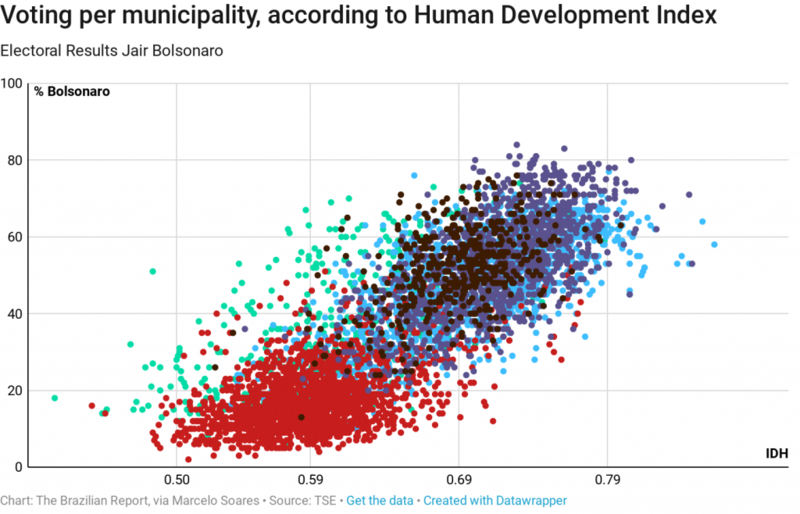 On the opposite side is the city of São Caetano do Sul – the city with the highest HDI score in the country. 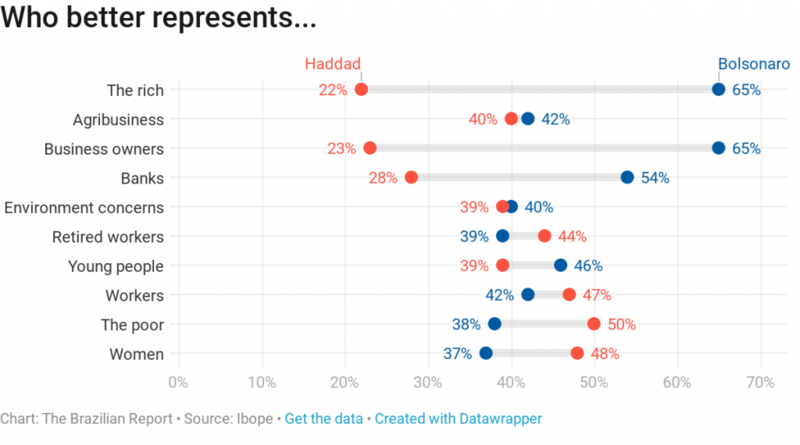 Only 8 percent of voters there cast their ballots for Mr. Haddad. When we look at Jair Bolsonaro’s map, we see what is almost a mirror image. The former Army captain fares much, much better in wealthier cities, such as Rio Fortuna, in Santa Catarina. Eight out of ten voters there chose the far-right candidate, in what is one of the most developed cities in Brazil. The northeastern region, however, was where Mr. Bolsonaro got his worst results. It is in line with the anti-Workers’ Party “voter base”: mostly white, better-educated, of wealthier portions of society. 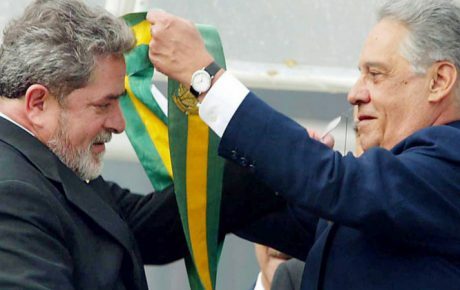 A group that is less sensitive to cash-transfer policies and that are more prone to vote for someone who promised more economic efficiency – or, in the case of 2018, as we’ve seen, someone who promised to bash Lula and his allies. The numbers are in line with a recent opinion poll. 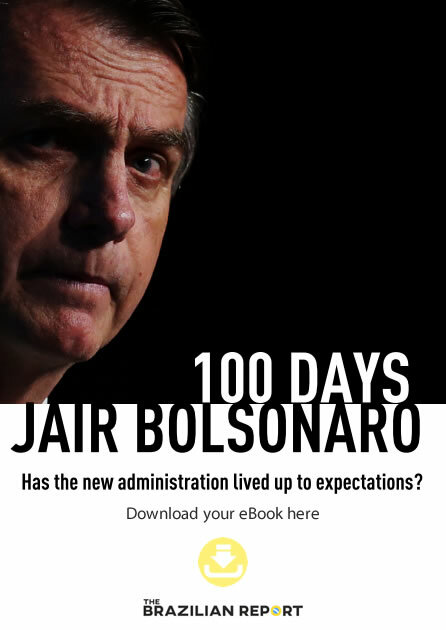 Voters believe that Mr. Bolsonaro better represents the rich, the banks, and landowners. Meanwhile, Mr. Haddad is associated with being the candidate which better represents the poor, women, and workers.